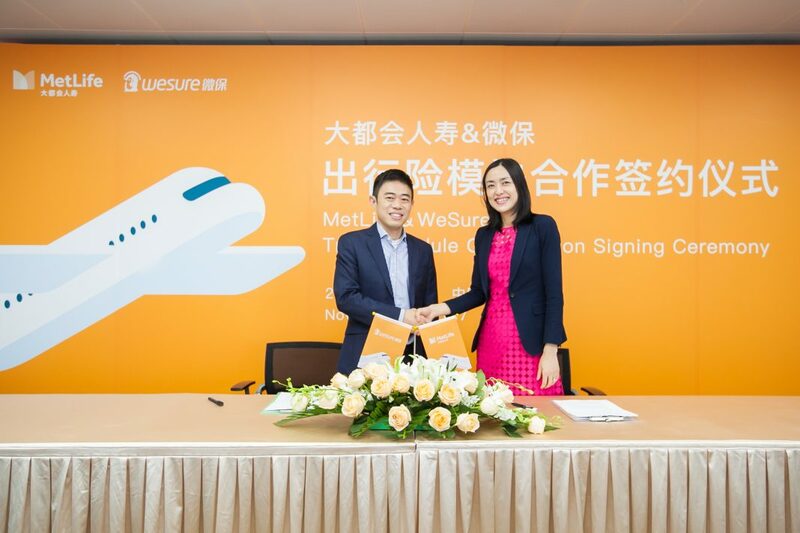 Global Life and Health insurer MetLife and WeSure, digital insurance provider owned by Tencent, have inked a strategic partnership to offer insurance solutions to travelers through Tencent’s WeSure online insurance platform. This alliance marries WeSure’s base of one billion monthly active users on Tencent’s mobile social communications platform, WeChat, with MetLife’s expertise in life and health protection solutions. The partnership’s first solution is an aviation accident insurance product, which will be provided on the WeSure platform. According to the Annual Report of China Domestic Tourism Development 2017, the number of domestic travelers in China reached 4.5 billion in 2016, with a steady year-on-year growth of 15%.